BSF Swissphoto was assigned the airborne lasers-canning of the surroundings of the Sihlsee (approx. 13km2) by the Swiss Federal Railways (SBB). Supplemental sonar soundings for lake-floor measurements were carried out by a subcontractor. The laser measurements took place while the water level of the lake was very low. 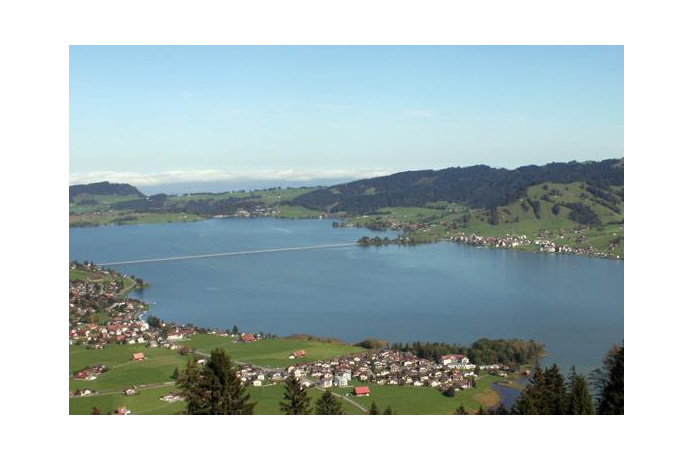 The goal of this project was to derive a digital terrain model of the lake-floor and its surroundings by combining airborne laser-scanning, sonar as well as cadastral elevation data delivered by Swisstopo. The result serves as a basis for water-level visualisations and simulations.